Becoming a member of a church is an important, and often neglected, part of the Christian life. Yet the trend these days is one of shunning the practice of organized religion and showing a distaste or fear of commitment, especially of institutions. 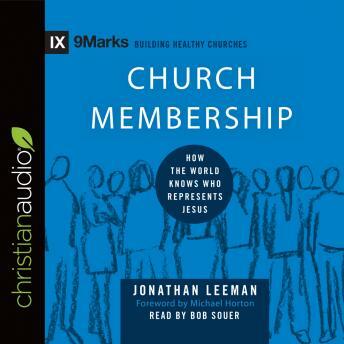 Jonathan Leeman addresses these issues with a straightforward explanation of what church membership is and why it’s important. Giving the local church its proper due, Leeman has built a compelling case for committing to the local body.